Mr. Olabanjo Oladipo holds a Bachelor’s degree in Mathematics from the Obafemi Awolowo University and a Master’s degree in Business Administration from The Federal University of Technology, Akure. Mr. Oladipo started his career at Leadway Assurance Company Limited as a member of the National Youth Service Corps and was retained for his excellent performances. 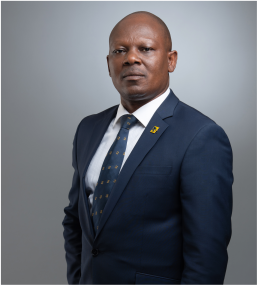 He left Leadway Assurance as Head, Individual Life Unit before he joined Mutual Benefit Assurance in 2002 as the pioneer Head of Operations, Life Division. Prior to joining FBNInsurance, he was Head of Technical Operations at Cornerstone Insurance Plc. He is an Associate Member of Chartered Insurance Institute of Nigeria (ACIIN).